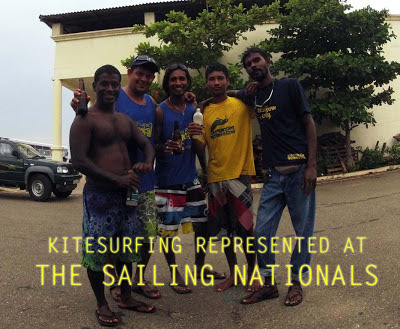 Kitesurfing was represented for the first time at the Sri Lanka Sailing Nationals as an exhibition event during the closing ceremony. Though the event was planned a month in advance, it was postponed due to bad weather. The call to postpone benefited the Kitersurfers as we had some amazing wind last evening in Panadura. 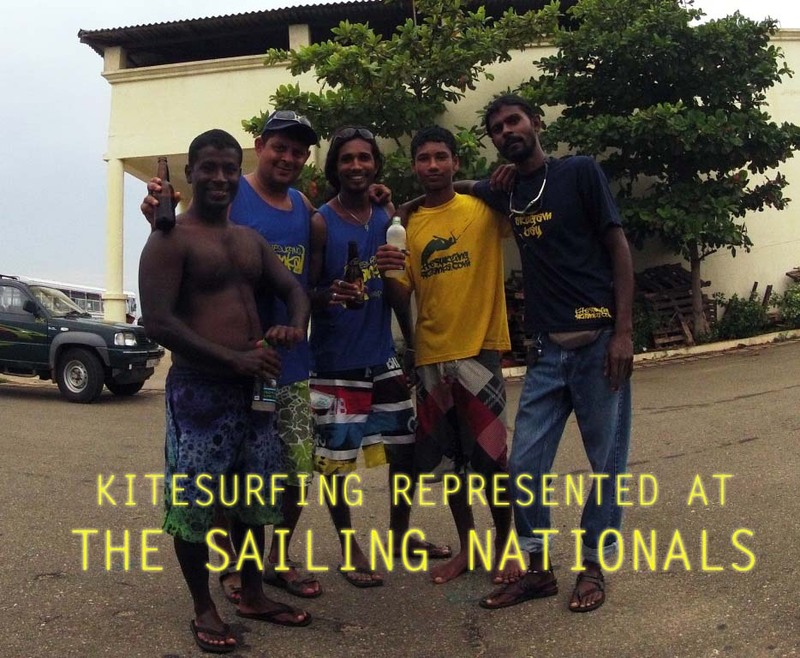 It was the first time Kiting was done on the seas of Panadura! Thanks go out to the Yachting Association of Sri Lanka and to the kiters from Kalpitiya - Ajmal and Mawfeel; Bentota - Upul and 'Baba' and support by Clywd, Susantha from the KSL team and long time kiter and watersports enthusiast Julian Bolling. Hopefully we would see a annual kiting event taking place at the next national event. Pictures can be seen here!